GX85 Overview Beta Gallery Supplement Production Gallery Supp. The Panasonic GX85 comes close to offering the ideal blend of image quality, functionality, speed and size in our book, packing a ton of advanced features and performance into a compact, well-built body, all at a fair price. The camera produces crisp images that are competitive with other 16-megapixel Micro Four Thirds cameras, 4K video quality is excellent, and overall performance is impressive, making this interchangeable lens camera an attractive option for beginners and enthusiasts alike. Is this the perfect compact mirrorless camera? Read on to find out! 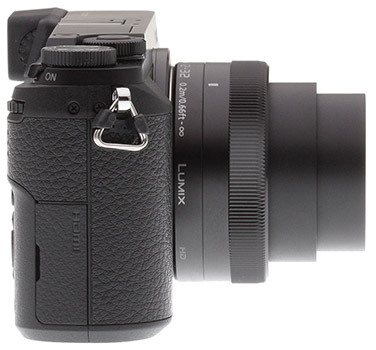 Offered in both a two-toned silver and black model as well as an all-black color, the Panasonic GX85 began shipping in May 2016 bundled with the retracting, ultra-compact 12-32mm f/3.5-5.6 ASPH MEGA OIS LUMIX G VARIO zoom lens for US$799.99. Say hello to the GX8's little brother, the Panasonic GX85 -- or the GX7 Mark II if you're in Japan, or the GX80 in Europe and the rest of the world. Despite being smaller and lighter than the GX8, the Panasonic GX85 is nevertheless still an enthusiast-level mirrorless camera packed to the brim with the latest and greatest technology and high performance features. The Panasonic GX85 includes a lot of the premium features of its larger GX8 sibling, but also provides a few twists and unique features all its own that make it a rather impressive and capable camera in an easy-to-carry design. While the GX8 maintains the top spot in Panasonic's Micro Four Thirds lineup in terms of sensor resolution at 20 megapixels, the new Lumix GX85 incorporates a more familiar 16-megapixel Live MOS sensor, similar to the earlier GX7. 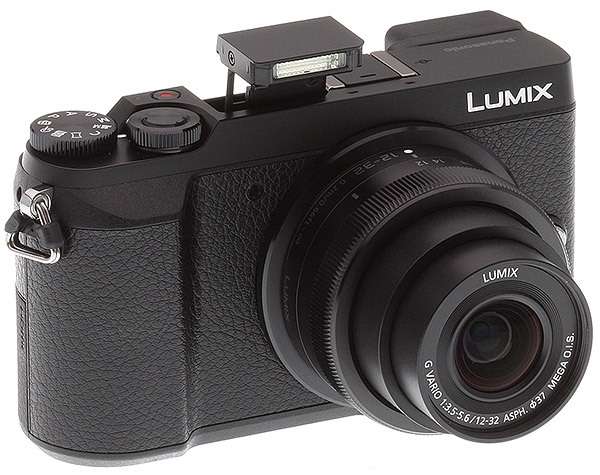 There is, however, a twist: no optical low-pass filter, which is a first for Panasonic. Combined with a new Venus Engine image processor, the GX85's AA-filter-less sensor yields better per-pixel sharpness. The lack of an optical low-pass filter, as we've seen on a number of other recent cameras, can result in additional resolving power. However, there is an increased risk of moiré and other aliasing artifacts appearing in the images of certain subjects, such as fine repeating lines and meshes, certain fabrics and other man-made structures, for example. These are often difficult to remove in post-processing, so being mindful of what subjects you're photographing is important. It's quite interesting to see the lack of an optical low-pass filter making its way to more and more general-use cameras, rather than pricier, higher-resolution professional-level niche models. According to Panasonic, the Venus Engine image processor inside the GX85 has been specifically designed to help combat moiré, false color and other aliasing artifacts, and in our testing we found it did a pretty good job suppressing artifacts, though some aliasing artifacts are still visible depending on the subject. This is to be expected, though, as seen from other cameras without an AA filter. Say goodbye to shutter shock? It appears so. 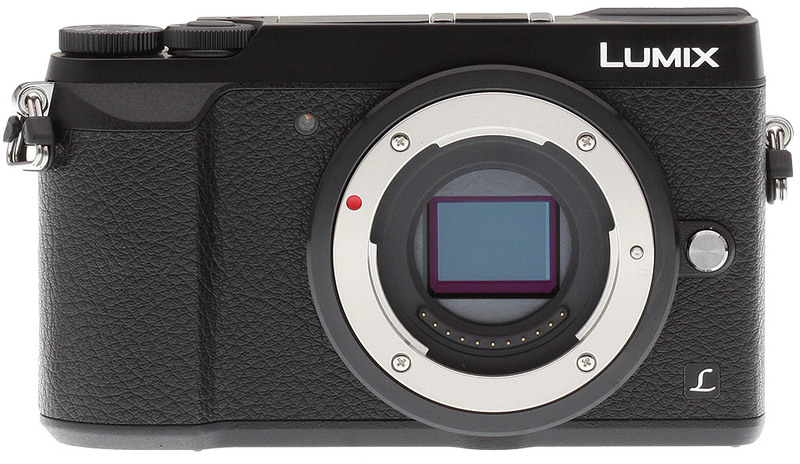 For improvements to sharpness and overall image quality, the Panasonic GX85 also sports a new electromagnetic shutter unit, which helps reduce internal vibrations. Shutter shock has long been a source of issues for mirrorless and DSLR cameras, especially when shooting around a slower range of shutter speeds -- and amplified further when shooting with longer and longer lenses. The Panasonic GX85's all new electromagnetic shutter mechanism utilizes dual solenoids rather than a traditional motor and spring assembly. 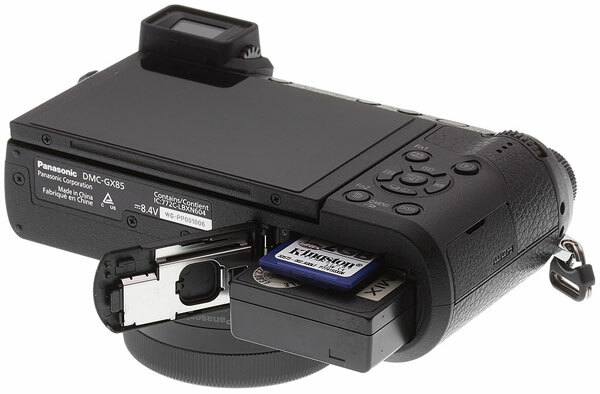 A spring-actuated shutter mechanism can induce noticeable vibrations upon firing, which could lead to blurry images when photographing at certain shutter speeds. With the dual solenoid design in the Panasonic GX85, the camera is able to control the acceleration and deceleration of the shutter curtains thereby reducing vibrations of the shutter's opening and closing motion. 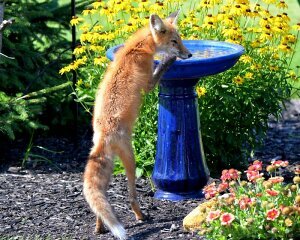 This allows for sharper images at problematic shutter speeds. Panasonic claims around a 90 percent reduction in shutter shock vibrations compared to a traditional spring-actuated shutter mechanism. And this new shutter design has the added benefit of being much quieter than a traditional one, too, which is excellent when shooting in sound-sensitive environments. The camera sports an array of image customization settings, including separate controls for image saturation, contrast, sharpness and the level of noise reduction as we've come to expect from Panasonic. The GX85 also introduces a new "L Monochrome" Photo Style in addition to the standard Monochrome Photo Style, which offers a deeper black appearance and adds realistic gradation similar to black and white film. For further image customization, there are a total of 22 Creative Control filter modes that are now also available in PASM shooting modes. You can then adjust various parameters of these filters, combine multiple filters, as well as record both a "filtered" image and an unaltered one simultaneously. Whereas the GX8 did away with the built-in flash, the GX85 takes a note from the GX7's playbook and offers the pop-up flash yet again while still maintaining a hot-shoe. As for ISO sensitivity, the Panasonic GX85 is rather straightforward. As with other recent Panasonic cameras, the GX85 features a native ISO range of 200 to 25,600, with an extended low ISO of 100. Not surprisingly, the GX85 offers both RAW and JPEG image capture, plus with its new on-board RAW development feature, you have the flexibility to shoot all in RAW and then easily process your shots into JPEGs after the fact, making use of the GX85's array of creative options, all in-camera. Cameras seem to get smaller and smaller while still managing to have rather impressive performance specs, and the Panasonic GX85 follows this trend. For starters, like many recent Panasonic cameras, the GX85 incorporates Depth From Defocus technology into its contrast-detect autofocusing system enabling super-quick and accurate AF speed. 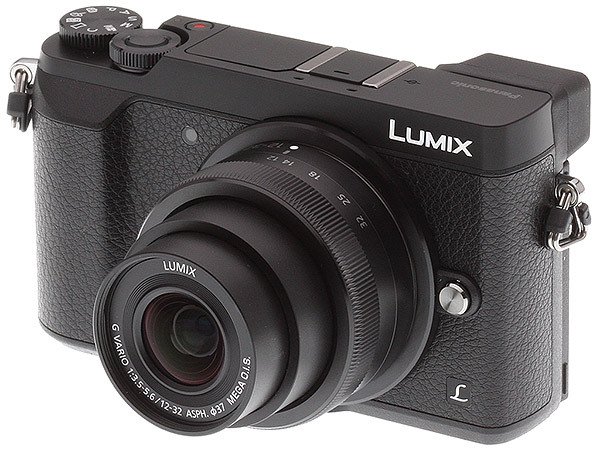 According to Panasonic, the GX85 is able to focus in around 0.07 seconds, and despite the lack of on-sensor phase-detect, AF tracking performance is said to be notably improved -- approximately a 200% improvement over the GX7. Further, the camera's autofocus system works in both good lighting and dim -- and we mean really dim. Like the earlier GX7 and GX8, low-light autofocus sensitivity is rated down to -4EV, which are impressively dark focusing conditions. The GX85 also includes Panasonic's Starlight AF mode, which can detect the precise, small contrast differences in stars compared to the night sky for easy focusing. The Panasonic GX85 offers a similar array of other autofocus features found in recent Lumix cameras including focus peaking, Pinpoint AF, and Full Area AF, letting you focus on anything within the field of view. The GX85 also includes the 49-Area/Custom Multi mode, which lets you freely select a custom group of AF areas as you see fit for the particular subject. The camera also has Face/Eye Detection AF that automatically detects the face and left or right eye of your subject. For capturing fast action, the GX85 is capable of 8 frames per second with focus locked at the first frame. If you want continuous focusing, the burst rate drops slightly to a still-respectable 6fps, which is in-line with the earlier Panasonic GX8's performance specs. As with the GX8, this camera also lets you opt for an all-electronic shutter mode, which bumps the AF-S burst rate up to a handy 10fps. There's also a Super High-speed burst mode at a whopping 40 frames per second, though it only captures JPEGs at a much lower 4-megapixel resolution. See the Performance page to see how the GX85 fared in our lab. Mechanical shutter speed tops out at 1/4000s (compared to 1/8000s for the GX8), but the GX85 maintains the fast maximum 1/16,000s shutter speed when using the all-electronic shutter. In addition to the preexisting exposure and white balance bracketing features, the GX85 offers a new Focus Bracketing option. The Panasonic GX85 can shoot up to a maximum of 999 frames, each with a different focus point. You can also select from five different step sizes (in other words, how big of an increment to automatically adjust the focus between each frame). For shots where focus is critical, such as portraiture or macro photography, this could be a very handy feature. The Lumix GX85 also introduces a new Aperture Bracketing feature, in which a series of images are captured with varying depths of field. The Panasonic GX85 also borrows other image processing improvements from the GX8, including Clear Retouch and expanded in-camera panorama options (the GX7 had only standard 8176 x 1920 (horizontal) or 2560 x 7680 (vertical) panoramas, but the GX85 now also has an 8176 x 960 or 1280 x 7680 resolution wider angle panorama mode), and the stitching seems more reliable than the GX7 as well. Like its bigger brother, the GX85 sports Panasonic's Dual I.S. system which combines both sensor-shift image stabilization and lens-based optical image stabilization. However, some improvements have been made, as the GX85 now has 5-axis Dual I.S. rather than just the 4-axis system of the GX8. With the addition of roll correction on the body-based I.S. system, the GX85 is now able to better compensate for larger vibrations and handheld cameras movements -- up to 4-stops of correction according to Panasonic. For multimedia producers, you'll be pleased to know that this new 5-axis Dual I.S. system is compatible with both stills and video modes, including 4K video -- the GX8 has a more limited Hybrid I.S. system in video modes, with no in-camera stabilization when shooting 4K video. The Panasonic GX85's tilting touchscreen features a 1040K-dot LCD display. Speaking of 4K, the new Panasonic GX85 offers loads of exciting features surrounding its 4K capabilities, particularly with regard to 4K Photo modes. Starting with the video features, the Panasonic GX85 is capable of capturing 4K UHD (3840 x 2160) video at both 30p and 24p, as well as a variety of Full HD and HD frame rates. 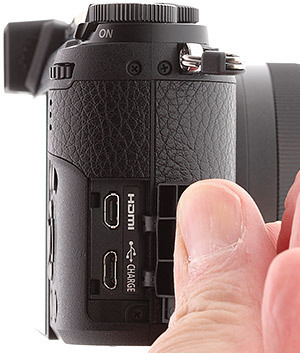 The GX85 captures video in either MP4 or AVCHD formats, however 4K is only available in MP4 mode. Though not as robust a selection of formats and bitrates as the video heavy-hitter GH4, the GX85 still offers 4K video at a high quality 100Mbps bitrate. Bitrates for Full HD and HD videos aren't nearly as high. For MP4, 1080/60p is captured at 28Mbps, 1080/30p at 20Mbps, and 720/30p at just 10Mbps. For AVCHD videos, 1080/60 is pegged at 28Mbps, and both 30p and 24p options top-out at 24Mbps. Continuous sustained 4K video recording is unlimited for the NTSC-region model. The camera will continuously record videos until the file size reaches 4GB, at which point a new file will automatically be created, although playback will be seamless. Along with the new creative filter options now available in PASM stills modes, video capture can also make use of all the special effects and various creative filters. Some modes, however, like the simulated tilt-shift Miniature effect for example, cannot be used with 4K, and instead default back down to 1080/60p. One new video trick that the GX85 offers is a new 4K Live Cropping feature. The camera is able to utilize the entire sensor area, but only capture a smaller 4K-sized frame within that area. What this allows is an all-digital, programmable and automated panning and zooming feature while recording video -- think in-camera "Ken Burns Effect." You can set start and end points for panning, or the end zoom framing, and the camera will smooth and automatically capture 4K video with these pre-programmed "movements." However, 4K is much more than just for video. With 4K's 8-megapixel frame resolution, a variety of still photo features are now possible, as well. One of the major features of the Panasonic GX85 is 4K Photo, which lets you extract stills from a 30fps clip of 4K footage. Offering a variety of capture timing methods, the GX85's 4K Photo modes are great for fast action, sports and other hard-to-time moments. Instead of shooting an 8 or 10fps burst of still frames, you can capture 4K video at 30fps and easily pull still frames after the fact. If you're okay with the drop in resolution (16MP to 8MP 4K), the 4K Photo feature is a great way the make sure you don't miss the important moment. Building upon the camera's 4K Photo technology, the GX85 also incorporates Panasonic's new Post Focus feature, allowing you to select the frame with your preferred area of focus after the fact. In essence, at the press of the shutter button, the camera records a small clip of 4K footage while simultaneously sweeping the focus during the clip. You can then tap on the screen to pick the area of the shot to be in sharp focus and save that particular frame as a separate image. The Panasonic GX85 also offers the 4K-based Light Composition mode, which continuously captures a 4K video stream, but only records new brighter pixels into a single final composition shots. What this allows is easier capturing of long-duration fireworks images and other nighttime scenes. While the video-related featureset seems rather robust on the Panasonic GX85, there's one -- or two, rather -- big downsides that might make you think twice about using the GX85 for certain video applications: there's no external microphone jack or headphone jack. Audio capture only comes by way of the small stereo microphone ports on top of the camera in front of the hot-shoe. This could be a deal-breaker for those needing more control over their audio quality. In terms of size and shape, the new Panasonic GX85 shares a lot in common with the earlier GX7. Right off the bat you'll notice its much smaller, more svelte design compared to its rather beefier brother, the Panasonic GX8. The GX8 took a noticeable step up in size after the GX7, and the GX85 shrinks things down a bit while still maintaining a very comfortable, easy to operate design and control scheme. Build quality is excellent, simply put. 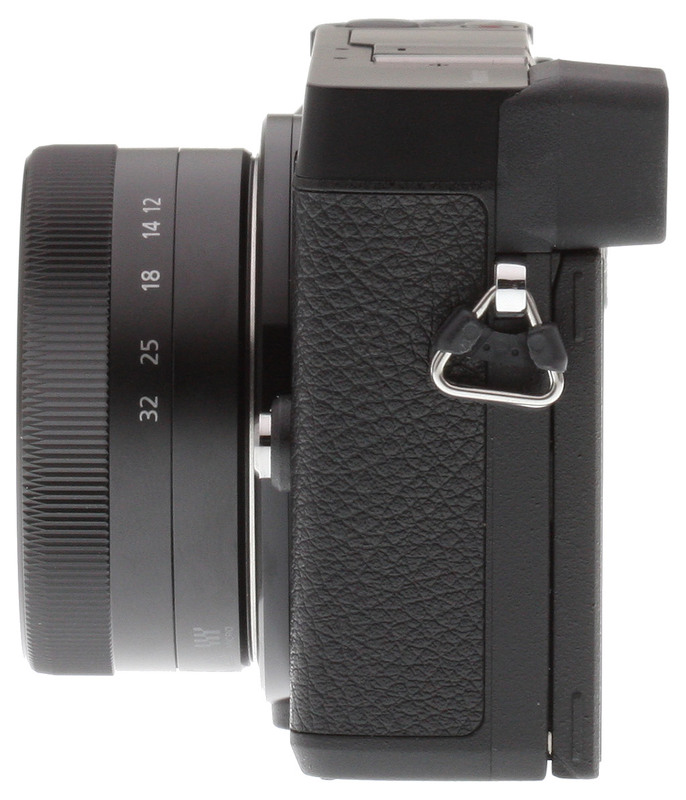 The camera feels extremely stiff and durable without any creaks or flimsy buttons. 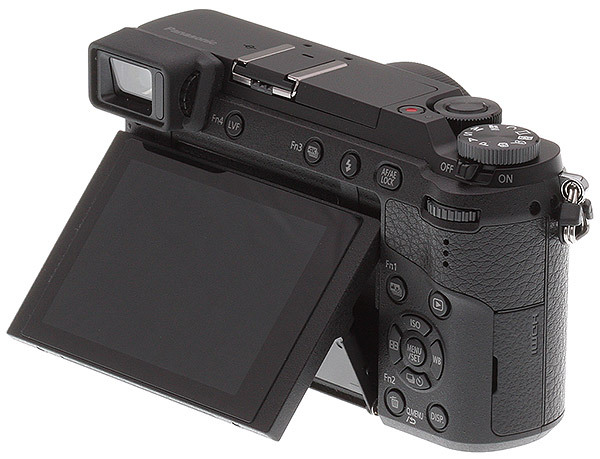 The Panasonic GX85 maintains the tilting LCD rear display design of the GX7 rather than the articulated flip-out screen of the GX8, and the hinges on the tilting LCD are quite stiff and feel very sturdy. Compared to the GX7, the new Panasonic GX85 appears more or less very similar. The major differences don't pop out immediately, but the GX85 does away with the tilting EVF of the GX8 and GX7 in favor of a fixed one. It keeps the same 2.76M-dot effective field-sequential EVF as the GX7, and still provides 100 percent frame coverage with a 1.39x / 0.7x (35mm eq.) magnification. And like the GX7, the Panasonic GX85 includes a built-in pop-up flash though it's a little weaker with a Guide Number of 4.2m (ISO 100) versus 5.0m for the GX7, as well as a flash hot-shoe. The other noticeable design change on the Panasonic GX85 is the lack of the dedicated rotating focus mode thumb switch. The AF/AE Lock button remains in relatively the same location, but now you'll need to access the menus or Quick Menu in order to change the focus mode. The rest of the controls cluster on the rear of the camera is more or less the same apart from some small changes. 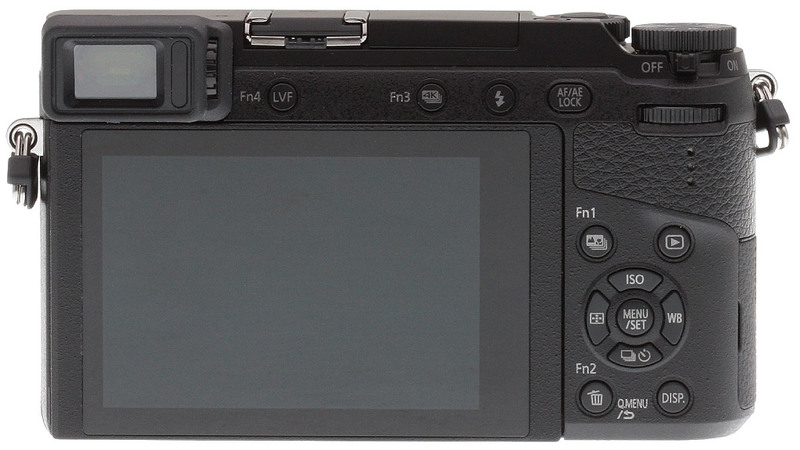 The camera still sports a total of four customizable Function buttons to reassign as needed. As with the earlier GX-series cameras, the Panasonic GX85 features dual control dials for quick setting and/or exposure adjustments. The rear thumbrest dial also functions as a pressable button, which by default, is helpfully assigned to exposure compensation. 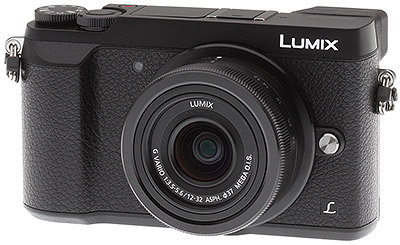 The Panasonic GX85 derives its power from a proprietary 7.2v 1025mAh lithium-ion battery pack, which is CIPA-rated for 290 shots on a charge with the LCD, and 270 shots with the EVF, when using the 12-32mm kit lens. The GX85 bundle includes an AC adapter, for in-camera charging via the USB port. A Micro (Type-D) HDMI port is also provided. Images and movies are stored on Secure Digital cards, including SDHC and SDXC types, and UHS-I types are supported (UHS Speed Class 3 required for 4K recording). As with many modern cameras, the Panasonic GX85 includes built-in Wi-Fi connectivity, however, unlike the GX7 and GX8, this new model does not include NFC technology. Once connected via Wi-Fi, users can connect their iOS or Android devices using the Panasonic Image App for easy sharing of images and videos, as well as remote control capabilities with manual exposure and various settings adjustments. As a big fan of what I'll call small-but-serious cameras, I was definitely interested in testing out the Panasonic GX85. On paper, it promises to pack a whole lot of shooting power into a pretty compact body. The question is: how does it measure up in real-life shooting? As it happened, just as the Panasonic GX85 arrived at my doorstep, I was getting ready to visit friends in Mexico City, so I tossed it in my backpack with all my other essentials (laptop, cell phone accessories, Kindle, passport, and a dozen other tchotckes). With the very small 12-32mm f/3.5-5.6 kit lens and the tiny charger, it took up very little space in my bag -- it's a great size for traveling. In the Overview section of this review, we noted not only the compact dimensions of the GX85, but also the comfortable design. I'll second those impressions, as well as the sense that the GX85 feels very well built despite its small size. One additional thing I'd note is that the camera is a little heavier than I expected, no doubt a by-product of its solid construction. I've now shot with the Panasonic GX85 in a wide variety of situations from travel and street shooting to sports, and I've had no complaints about its responsiveness at all. It shoots fast; controls respond quickly; shutter lag is minimal; and I've never hit any limits on the buffer when shooting bursts. It's just a speedy shooting machine, as an advanced camera should be. For most of my everyday shooting, I use the S-AF autofocus mode, and it has worked great on the Panasonic GX85 -- fast and decisive. Panasonic claims that the GX85's autofocus is improved in low light, and I don't doubt this. I've used it in very dark situations indoors and at night with almost no focus hunting and only a slight slowdown in AF speed. In all my shooting, I had total confidence in the GX85's S-AF performance. Going up against the A6000, X-T10, E-M10 II and more! NOTE: These images are from best quality JPEGs straight out of the camera, at default settings including noise reduction and using the camera's actual base ISO (not extended ISO settings). All interchangeable lens cameras in this comparison were shot with our very sharp reference lenses. Clicking any crop will take you to a carrier page where you can click once again to access the full resolution image as delivered straight from the camera. The Panasonic GX85 performs solidly as expected in the print quality department, yielding useful print sizes from low extended and base ISO up to ISO 3200. After this the quality falls considerably, so for critical printing, setting the ISO limit in the menu to a maximum of ISO 3200 will ensure you can count on good prints depending on the desired print size and how much you crop your image before printing. At 16MP, the GX85 isn't able to compete with the 20MP GX8, and it loses to its popular big brother at a few ISOs as the gain rises. But at a lower price point and a trimmed down size, this is understandable and the Panasonic GX85 still packs a good I.Q. punch up to ISO 3200. The best compact Micro Four Thirds camera yet? As our reviewer Eamon Hickey stated, he's a big fan of what he calls "small-but-serious cameras," and the Panasonic GX85 definitely fits the bill. Panasonic has managed to pack a lot of their latest-and-greatest tech and features into the GX85, including in-body 5-axis Dual Image Stabilization, a built-in EVF, a tilting LCD with touchscreen, a flash, a hot shoe, 4K video and photo capture, and built-in Wi-Fi just to name a few, while keeping the design relatively compact and comfortable to use. Performance is very good as well, with low shutter lag, relatively fast autofocus, an 8 frames-per-second full-resolution burst mode (10 fps with electronic shutter), and generously deep buffers (unlimited for JPEGs, 40+ for RAW. Eamon also found that tracking autofocus was impressive for a contast-detect-only AF system, thanks to Panasonic's subject recognition and Depth from Defocus technology, though it's still not as good as most phase-detect or hybrid AF systems. The Panasonic GX85 was however able to autofocus in extremely low light on our low-contrast AF target in the lab (we measured down to -5.6 EV), and lower than we could measure accurately with our high-contrast target. Large capacity SDHC/SDXC memory card. 16GB UHS-I should be a minimum (UHS Speed Class 3 required for 4K recording).